Network troubleshooting shouldn’t be hard. Is it the app or the network? Ensure your users have the services they need by understanding the critical network paths. What’s with the flood of alerts? Create alerts based on simple or complex nested trigger conditions. How do I keep up with a constantly changing network? Let auto-generating maps keep up with network devices for you. So you can manage your network, not your network monitoring. Powerful and intuitively designed network monitoring solutions, so you can start solving problems right away. Out-of-the box network monitoring scales to handle all the growth your organization can throw at you, today and tomorrow. Tailor NPM to your needs with multi-vendor support and customizable dashboards, views, and charts. We’ve worked as network and systems engineers, so we understand your problems and how to solve them. Comprehensive fault monitoring and performance management for your network. Reduce network outages and quickly detect, diagnose, and resolve multi-vendor network performance issues with affordable, easy-to-use network monitoring software. Get to the root cause quicker with intelligent, dependency and topology-aware network alerts. Reduce the flood of unnecessary network alerts. Create alerts based on simple or complex nested trigger conditions, defined parent/child dependencies, and network topology. Hop-by-hop analysis of cloud or on-prem applications or services. 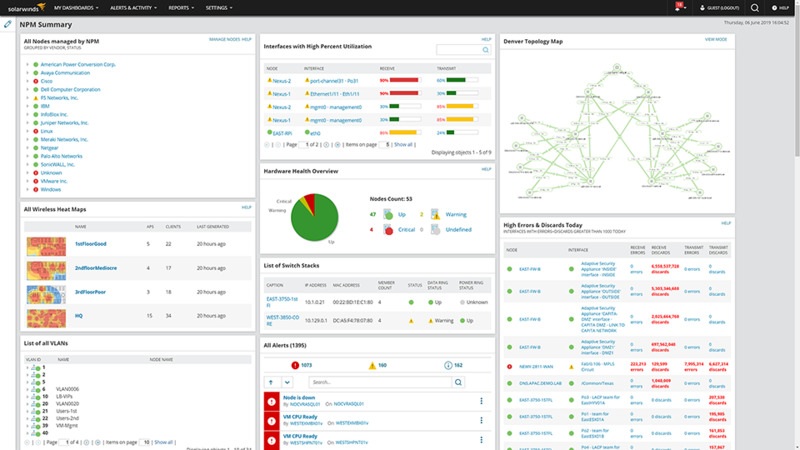 Monitor critical business services on-prem or in the cloud with NetPath network path analysis. You can see changes along the path, identify service provider issues, and use historical views to review the path before a problem occurs. PerfStack™ cross-stack network data correlation. Accelerate identification of root cause by dragging-and-dropping network performance metrics on a common timeline for immediate visual correlation across all your network data. Visual representation of the health and performance of critical network gear. 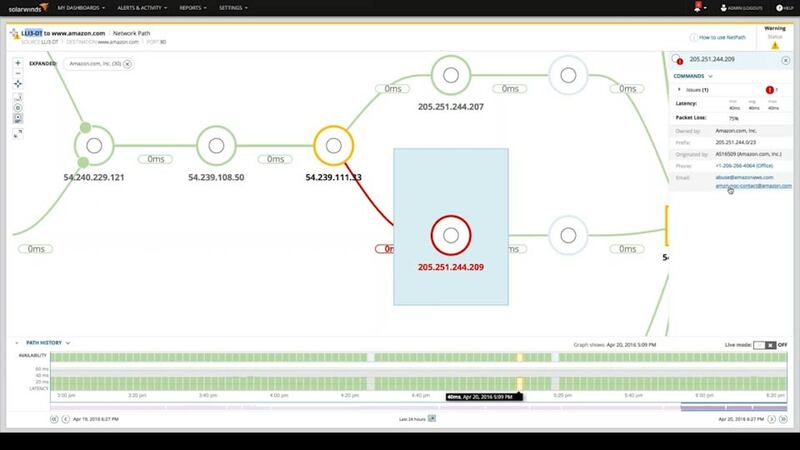 Reduce visibility gaps into critical network switches, firewalls, and load balancers with Network Insight for Cisco Nexus, Cisco ASA, and F5 BIG-IP. View contextual and graphical portrayals of an entity and its physical and logical relationships with auto-updating maps. See relationships for routers, switches, interfaces, volumes, and groups, updated automatically without user intervention so you can maintain your network, not your network maps. Measure the health of the logical network in addition to the physical network with Cisco ACI support. Monitor logical components of the SDN environment, including APICs, tenants, application profiles, endpoint groups, and physical entities directly from your network monitoring tool. See performance metrics for autonomous access points, wireless controllers, and clients. Easily identify dead zones and improve wireless coverage. With our network monitoring tool, you can access out-of-the-box wireless reports, including wireless availability and rogue access points. Dynamically calculate baseline thresholds from historical network performance data. Configure alerts accurately by calculating dynamic baseline threshold data with our network performance monitoring software. Scale up to monitor more elements or poll more frequently, or scale out to multiple locations. Drop disparate network monitoring tools and get comprehensive data in an integrated platform for greater visibility into monitoring network performance, all with flexible deployment and a lower TCO. Be able to monitor more elements, poll more frequently, or cover more locations. Gain the ability to increase frequency of polling, easily monitor remote locations, or scale to up to 12,000 additional elements per additional polling engine. 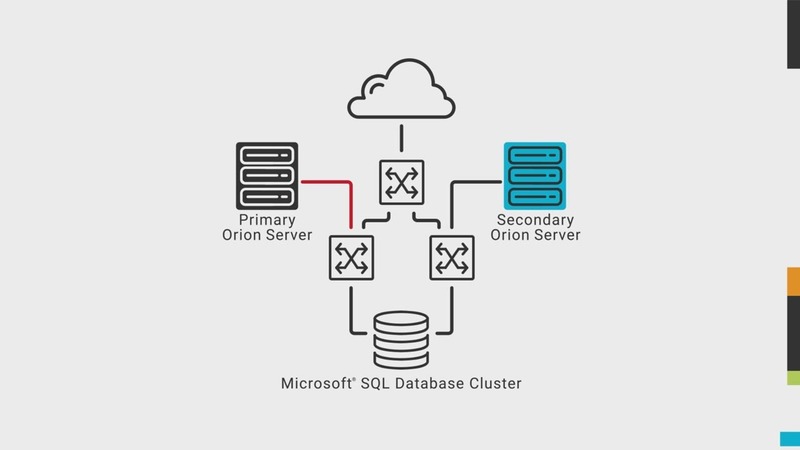 Help ensure 24/7 availability for your Orion servers and pollers across subnets with Orion Platform High Availability (HA). Protect your monitoring environment against O/S crashes, application failures, network connectivity problems, and database availability issues with SolarWinds High Availability. Get a single consolidated command center of multiple SolarWinds servers with Enterprise Operations Console (EOC). SolarWinds Enterprise Operations Console collects performance data from an installed base of multiple SolarWinds servers, and summarizes this data into a composite, centralized view. Network Performance Monitor is an industry favorite. Hands down. "It's really a Swiss army knife of monitoring. It helps us be more proactive in dealing with issues." "NetPath services are a godsend when you are trying to explain to ISPs, etc. about where traffic is congested or stopping. Sometimes seeing is believing for them." "Network Performance Monitor offers simplicity out of the box for most, but limitless deep dives into low-level customization for those that dare. It’s open, unobstructed and encouraged on THWACK™. Good stuff." "Network Performance Monitor is simply the best monitoring solution I’ve ever used. Easy to setup, deploy and capture data." "Constant upgrades to features to keep up with the changing times." Where can I find support information, training, onboarding, and technical documentation? Where can I find information on installation and customization for my NPM product? Does SolarWinds offer training or certification for the NPM product? How does SolarWinds handle large and complex environments? Which data center switches is Network Insight for Cisco Nexus available for? The Success Center is your home for onboarding, training, new user information, the product knowledge base, and official product documentation. The customer portal is where you can submit a help desk ticket, find all of the information about the products you own, and see available hotfixes and upgrades as well as training opportunities for your products. Our New to NPM section was created using customer feedback and contains videos, guides, and articles that will help you be more successful with your installation and customization. SolarWinds offers an onboarding assistance program called Smart Start if you are looking for help getting NPM set up and optimized. We will provide you with access to one of our implementation experts who will work with you to understand your goals, assist you in installing and configuring your product, and help you optimize your environment for how you need your business to run. The SolarWinds Academy is a single location where you can find e-learning as well as instructor-led classes that will take you from the basics through optimization. We allow you to browse classes or, if you prefer, follow customized learning paths to keep you on the right track. SolarWinds offers a certification program for NPM called the SolarWinds Certified Professional® (SCP). Becoming a SolarWinds Certified Professional helps ensure that you have the technical expertise to effectively use and maintain SolarWinds network and systems management products. 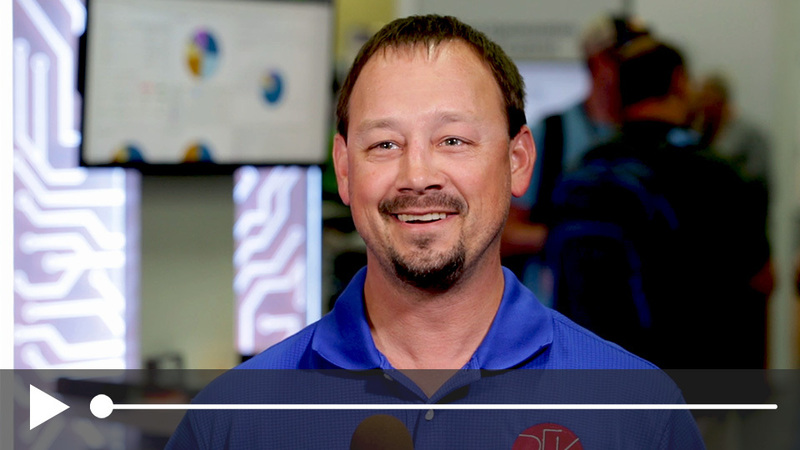 SolarWinds solutions are rooted in our deep connection to our user base in the THWACK® online community. More than 150,000 members are here to solve problems, share technology and best practices, and directly contribute to our product development process. 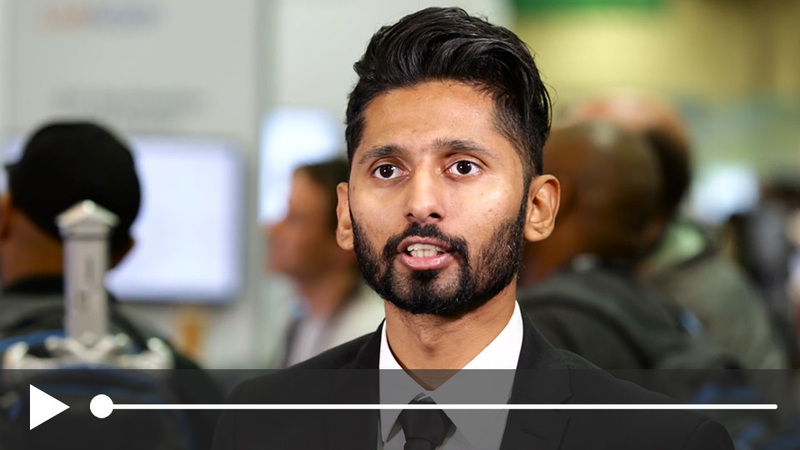 SolarWinds has deployment flexibility for complex networks. Easily troubleshoot large environments with the NetPath, PerfStack, and Network Insights features. Increase polling frequency or monitor more elements or locations with Orion® Scalability Engines. Network Insight for Cisco Nexus covers the majority of Nexus switches in the market. Cisco Nexus 2000, 5000, and 7000 series switches are all covered with Network Insight for Cisco Nexus. What is network monitoring software? Tools to monitor network performance that can detect, diagnose, and resolve network performance issues by scanning network devices for fault and availability. 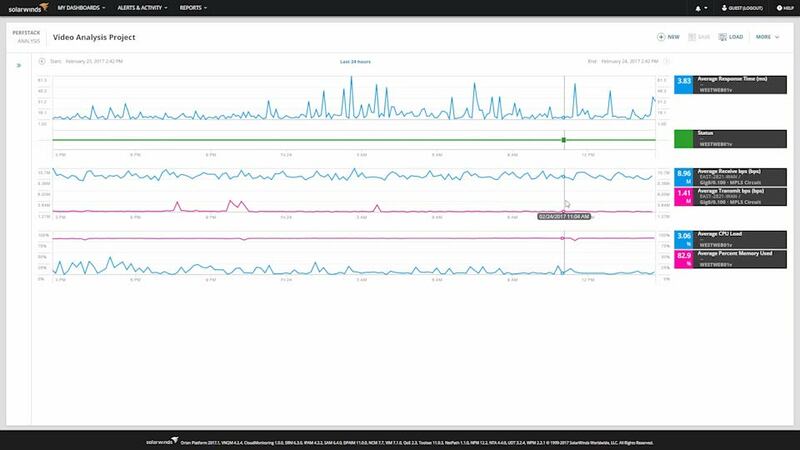 SolarWinds Network Performance Monitor (NPM) offers multi-vendor network monitoring solutions to reduce downtime and help ensure business service delivery. NPM network monitoring software offers fault monitoring, performance analysis, availability monitoring, cross-stack network data correlation, hop-by-hop network path analysis, and much more. NPM’s automated capacity forecasting, alerting, and reporting automatically calculates exhaustion dates using customizable thresholds based on peak and average usage. Via the Network Insight™ features, NPM also offers comprehensive monitoring of F5 BIG-IP and Cisco ASA family of products. View performance, traffic, and configuration details of devices and applications that are on-premises, in the cloud, or across hybrid environments with NetPath. NetPath gives your network professionals insight into what is occurring not only inside of their own network, but also what is happening outside their network. 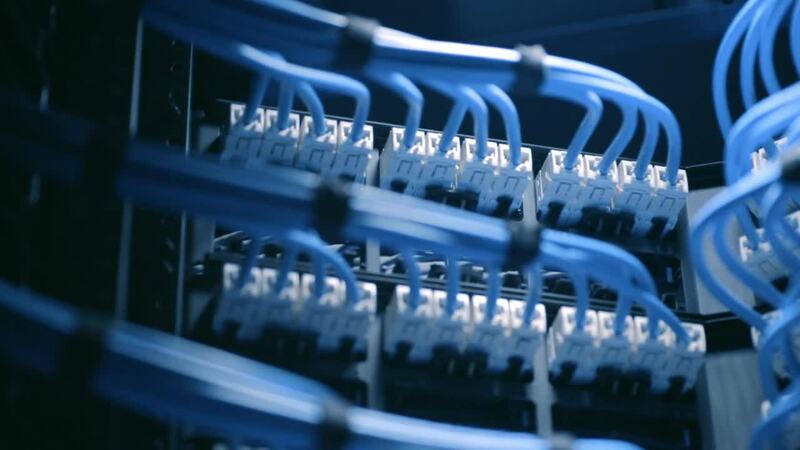 The NetPath feature helps your network administrator prove your network’s mean-time-to-innocence fast, enabling you to contact providers of networks external to yours when they are having an issue affecting your ability to achieve connectivity between endpoints across networks. NPM’s network monitoring software expedites the troubleshooting process by facilitating data correlation. Use cross-stack network data correlation to accelerate identification of root cause by dragging and dropping network performance report metrics on a common timeline for immediate visual correlation across all of your network data. Automatically discover and map devices, performance metrics, link utilization, and wireless coverage so that you have a clear view of everything occurring on your network and are able to troubleshoot issues before they affect client networks and your business.